Which gift is the best for the Saint Valentine’s Day? The survey among gorgeous brides from Step2love! It is so important when you have a special person, with whom you can share all joys, great memories and goals for the future…It is the greatest happiness when you have a beloved by your side and when you know you’ve found the one and only. 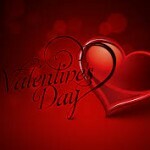 And there is a wonderful holiday for all loving people all over the world – St. Valentines day! It is actually less then one month left, and it is time to start choosing a gift for your beloved lady and preparing something really unforgettable and unbelievable! But, there are so many things to choose among the presents offered on Step2Love, which one will be the best? » Read more.. Comments Off on Which gift is the best for the Saint Valentine’s Day? New Contest from Step2Love for Valentine’s Day! We are glad to announce you that for the first time, Step2Love holds completely New competition for ladies and for you! This competition is dedicated to the beautiful and romantic upcoming holiday – St. Valentine’s Day! » Read more.. Comments Off on New Contest from Step2Love for Valentine’s Day! View Viktoria`s Full Profile » Read more..
View Anna`s Full Profile » Read more.. The majority of people stick to traditional ways of getting acquainted and creating couples. However, with development of technologies, more and more of them prefer online dating, for example, on Step2Love site. Besides, dating on the Internet is really better than the real one for several reasons. » Read more.. There are lots of various pieces of advice on how to get into lady’s heart and help her understand that you are the man of her dreams and she really wants to spend her life with you. If you want to make your lady trust you and understand that you are interested in her, pay more attention to her personality and don’t try to play a role of a macho. Women don’t really like to know about your popularity among ladies. You may think that this will raise your value in her eyes, but typically Slavic ladies prefer not to get in touch with men who have too many women around. So, make her believe that she is the only one, and her heart will start melting. 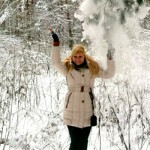 » Read more..
View Nelli`s Full Profile » Read more..
What else Should Be in Love? Love is a complex notion. This is not just a feeling of affection and passion, the desire to keep your beloved person safe and sound and comfort her in all possible ways. There are also some other aspects that should be present in healthy relationship between two people if the want to be happy. » Read more.. Comments Off on What else Should Be in Love?